Welcome to The Animal Clinic! Our staff is ready and waiting to welcome you and your family into our clinic. Take a seat, there is plenty of reading material and we will be with you momentarily. Medications may be needed to help your pet maintain a healthy lifestyle. We offer a variety of these medications and we are just minutes away from various local pharmacies. Our treatment room is equipped and ready to assist your pet with multiple medical procedures. We have an entire room dedicated to the dental health of our furry friends! Our surgery suite is prepped and ready to aid in any surgery or emergency. We have plenty of beds and blankets to help your pet feel at home. Want to bring your own, feel free. Our goal is to make them feel as comfortable and happy as we can! 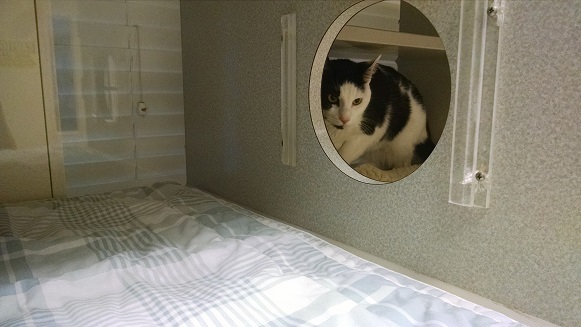 Our kitty condo's offer a spacious area divided into three sections in which they can walk through a portal to get to. They are also equipped with ledges for your cats leisure and enjoyment. 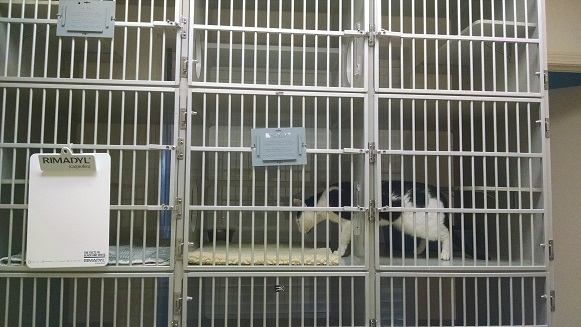 Here is a view of the way the Kitty Condo's are sectioned.